Being a parent means doing things you don't want to do most of the time. It means needing caffeine or alcohol and very specific times of the day. 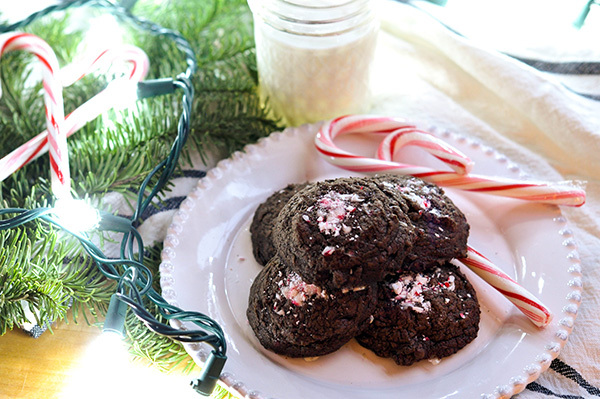 And it means, you can really use these peppermint mocha cookies. 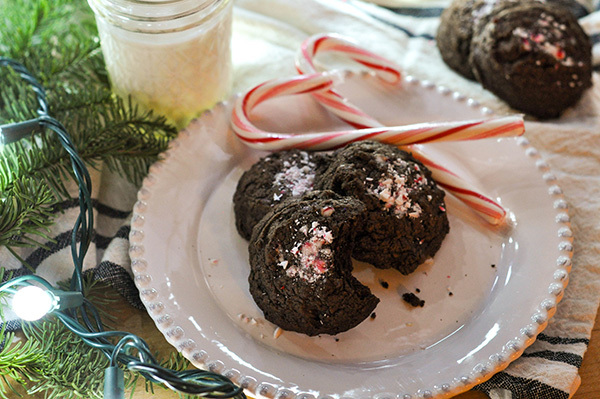 Inspired by my favorite holiday coffee drink, these taste just like it, in cookie form! Need I say more? These cookies all started with a chocolate cranberry cookie from Martha Stewart that I discovered last year. The cookie is deeply chocolaty because it uses both melted chocolate and good cocoa powder. To this I added espresso powder for that kick and peppermint extract to really bring the holidays home. The Recipe starts by melting the chocolate. I do this over a double boiler to melt the chocolate gently. Set this side. Cream the butter and sugars, add in the eggs, and flavorings and beat in the melted chocolate. Add in your dry ingredients and mix to combine. Once it becomes a cohesive dough, fold in the extra chocolate chips and crushed candy canes. Using a medium cookie scoop, I dropped the dough onto a parchment lined baking sheet and topped them with more candy cane pieces. Bake these for about 12 minutes. Once they come out of the oven I like to top them with more candy cane pieces (seems like overkill but I like to really drive home the point- its the holidays after all!) And allow them to cool on a wire rack. 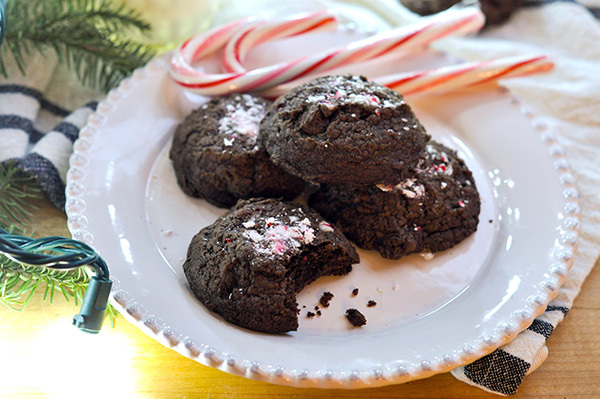 These are so packed with Peppermint mocha flavor you won't really need a cup of coffee to go with these. Maybe just a glass of cold milk! I hope you enjoy these this holiday season and don't forget to follow me on Instagram and twitter for more recipes and pics! Preheat oven to 350 degrees, with racks in upper and lower thirds. Place chocolate in a heatproof bowl set over pot of simmering water. Stir until melted; set aside. In a medium bowl, whisk together flour, cocoa, baking, powder, and salt. In a large bowl, of a stand mixer, beat butter and sugars until light and fluffy. Add eggs vanilla, espresso powder and peppermint extract; beat until combined. Beat in melted chocolate. With mixer on low, gradually add flour mixture; beat just until just combined. Fold in the chocolate chips and crushed candy cane pieces. Using a medium cookie scoop, drop dough 3 inches apart, onto parchment-lined baking sheets. Bake cookies until edges are dry and tops are cracked, 10-12 minutes, rotating sheets halfway through. Once done, take the reserved crushed candy canes and sprinkle them on top of the warm cookies. Let stand on sheets 3 minutes, then transfer to wire racks to cool.